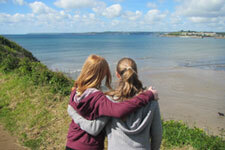 CHICKS is a national children's charity providing free respite breaks to disadvantaged children from all over the UK. CHICKS is based on the belief that every child has the right to make positive childhood memories. 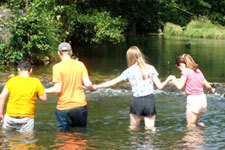 The breaks this wonderful charity provide give children the chance to have fun, enjoy new experiences and relax. Most importantly, they give them the chance to just be children. The children that come to CHICKS are from a variety of backgrounds. Whether they live in poverty, are young carers or victims of bullying, abuse or bereavement, what they can all benefit from is a week away from their circumstances. CHICKS was established in 1992 and since then has given more than 16,000 children a much needed break at one of their three countryside retreats in Devon, Cornwall, and Derbyshire. Breaks take place throughout the year and are tailored to fit the needs of each group, which are split into school key stage ages. The skilled and enthusiastic teams that take each group ensure the children have a fun, exciting stay with lots of new experiences, but also get the chance for rest and relaxation. The experience doesn't end after a week. Every child leaves a CHICK break with a memory bag including their diary, photos, certificates, and mementos. They are also given a Freepost envelope so they can write back to the charity. The CHICKS team replies to every letter personally and funds any future communications for as long as the children want or need. Birthday cards and Christmas presents are also sent following the trip to make sure children feel valued and cared about. If the children are still in the same circumstances children may return to CHICKS in following years, which allows the CHICKS team to build trusting relationships and gives the children continuity and something to look forward to. 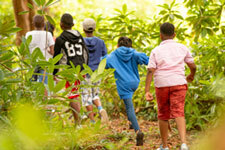 The impact of these breaks is the most important part of the process - although a week may seem short, following the break children are often more willing to try new activities, have developed new social skills and have increased confidence and self-esteem - all of which has a long-lasting impact. This year CHICKS needs to raise £1.8 million to continue to providing these vital breaks. With Charity Car, your old car donation could help towards this goal and give disadvantaged children a much deserved break that could improve their childhood. Click donate now, to get started with donating your old car to CHICKS.